The story here began at the Coliseum. On the other side of the massive monument where I usually photograph. That’s because in this period of time the Coliseum is undergoing some heavy restoration works on a good part of its external side facade. So I was looking for a photographic alternative in order to avoid the scaffolding. But the other side looks impressive nonetheless. I led the way to the right spot and waited for the wedding proposal. Which worked out well! I was taking pictures from a distance using a telephoto lens. And the surprise was welcomed with great joy and happiness. No one even stepped in between so it went great! 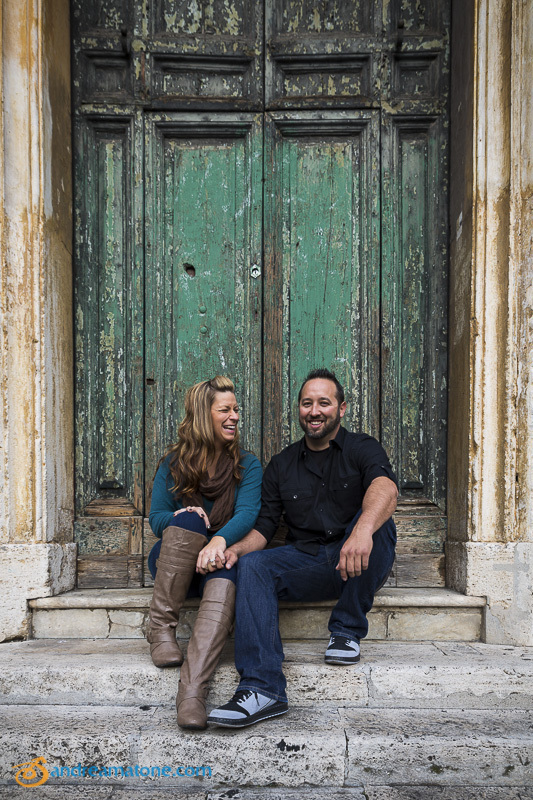 We then stepped off the small hill overlooking the Colosseum and walked around for some more engagement photography. 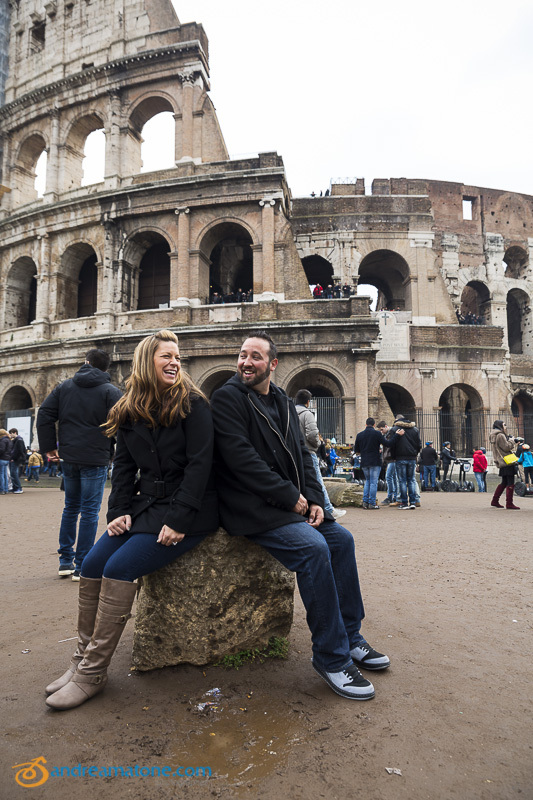 The shoot continued with very laid back and relaxed engagement pictures in around the Colosseum. To capture some more nice pictures of this beautiful moment. We walked back on the other side and continued photographing trying to avoid the scaffolding from peeking in the picture frame. Then we went up to Colle Oppio and took some more images there. By the Metro stop and just behind it. Congratulations to you both! More on surprise engagement proposals and engagement photography. A secret proposal discretely photographed from a distance at the Coliseum.